According to Ayurveda the physical universe is made of the Panchamahabhoutas (the five great elements -being space, air, fire, water and earth). Earth forms the substance, water its origin and the other three are its parts. Any substance is determined by the elements predominant in that substance. 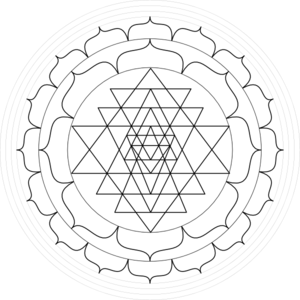 Ayurvedic science interprets the physical universe as an elaborate array of vibrational frequencies originating from a unified field of intelligence. As frequencies become dense in their vibration, the more solid they appear through our organs of perception. Ultimately Ayurvedic science understands that there is no physical form, only sound and the illusion of form is the combination of vibrational frequencies and their relationship with the mind and sense organs. Of these 5 great elements, 20 main qualities have been defined as inherent in all organic and inorganic substance. These 20 universal qualities contain potential energy while their action expresses their kinetic energy. Charaka has categorized these 20 qualities into 10 antagonistic pairs. This concept forms one of the primary foundations in Ayurvedic treatments. The one which is a substratum of the qualities and actions, and which is a concomitant cause is the matter. The curable diseases are cured by medicines possessing opposite qualities (when) administered with due regard to the place, dose and time. No medicine is to be prescribed for incurable diseases. Copyright© 2017 Wayne Celeban All rights reserved.